Folic Acid: What are folic acid benefits? Folic acid, also known as folate or folacin, is a nutrient you want to get enough of. Why? proper red blood cell function. Folic acid deficiency has been linked as well to depression, low birth weight, cardiovascular disease, macular degeneration, Alzheimer’s and poor cognitive function. It’s important that you get your folic acid benefits, whether through food or supplements. Folic Acid Benefits may come under many names - Folic acid is also known as folate, folacin, vitamin M, vitamin B 9 vitamin B c, pteroyl-L-glutamic acid, or pteroyl-L-glutamate. Lack of folic acid in diet can lead to a type of anemia called folate-deficiency anemia, characterized by abnormally large red blood cells. Red blood cells are important for transporting oxygen to the various cells in the body. Since 1998, the US government followed by many other countries like Canada, Costa Rica, Chile and South Africa, have required that food manufacturers add folic acid to grain products including enriched flours, cereals, cornmeal, pasta and rice. The program was more successful than anticipated, increasing the folic acid intake by a whopping 190 mcg/day, as opposed to the estimated 100 mcg/day. Folic Acid Absorption - Food versus supplements -Remember, when calculating your daily intake of folic acid that only 50 % of folic acid from food is absorbed, compared to 60% from fortified food and 100% from folic acid supplements taken without food. Fortification reduced significantly the number of children born with neural tube defects. Nevertheless, some people are still at risk for folic acid deficiency. Folic Acid Benefits: Who is at risk for folic acid deficiency and not getting folic acid benefits? those with liver or kidney disease. Folic Acid: How much folic acid do you need? The US government recommends the following daily intakes for folic acid. The levels are given in dietary folate equivalents ( DFE’s) – which recognizes that folic acid supplements taken without food are absorbed almost 2 times better than folic acid in food including fortified foods. Remember this when trying to calculate your daily folic acid intake. While 400 mcg is the non-pregnant non-lactating adult recommended intake, some experts suggest 450 mcg per day is a more optimal intake to maximize your folic acid benefits. Folic acid supplements are widely available and can be a great way of getting your folic acid benefits. Most multi-vitamins including children’s multi-vites and multi-vitamins for women contain substantial amounts. Check the labels. 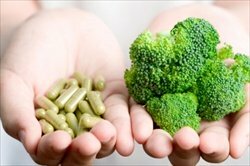 Studies suggest that 100% of folic acid in supplements is absorbed. 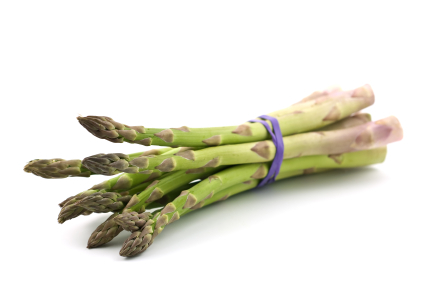 When taken with food, only 85% of the folic acid is absorbed. Folic Acid: How much is too much? Like with most vitamins and minerals, too much folic acid is not good. When it comes to folic acid, the US government’s upper intake level for adults 19 years and above is 1,000 mcg per day. How to lower Homocysteine with Folic Acid and other B Vitamins?–High homocysteine is associated with higher risk of cardiovascular disease, cancer, high blood pressure and dementia, among other conditions. Supplementing Vitamin B6, Vitamin B12 and folate can decrease homocysteine levels and your risk for several serious conditions. Most of the problems related to excess folic acid, stem from supplementation. Because of the lower bioavailability of folic acid in food, it’s almost impossible to get too much food, unless you are mainlining fortified food sources. The major conduit for excess folic acid is too much via supplements. Anemia and folic acid supplementation – Think Vitamin B 12 - Too much folic acid supplementation can improve the symptoms of megoblastic anemia but mask a Vitamin B12 deficiency. Neurological damage can result from an uncorrected B12 situation. This is a particular problem with older people, many of whom have low Vitamin B12 levels, due to aging. Because of this, many experts advise older people to only supplement folic acid alongside B12. Prostate and Colorectal Cancer - Some studies have linked high folic acid supplementation with increased prostate and colorectal cancer, with other studies indicating a reduced or neutral effect on cancer risk. Researchers speculate that the timing of supplementation matters – folic acid supplementation may prevent the growth of early cancers but encourage the growth of established or more developed cancers. Press here for more on folic acid foods. Press here for more on heart healthy diet fundamanetals including the folic acid benefits for lowering homocysteine.